Surtronic Duo-9 is a portable surface roughness measurement instrument capable of checking multiple parameters at the touch of a button. It displays the result in numerical and graphical format on a large LCD window. 9 roughness parameters (Ra, Rz, Rt, Rp, Rv, Rsk, Rku, Rq and Rz1max) and 5 unfiltered parameters. Rechargeable batteries with mini USB charging port. 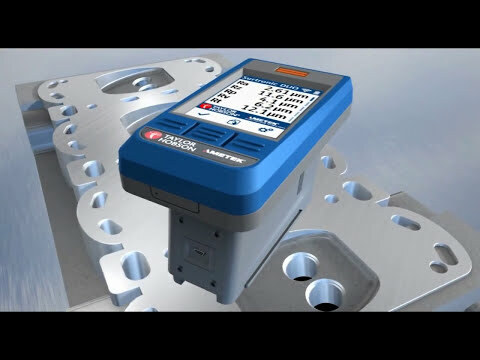 Bluetooth technology for wireless communication between display and measurement unit. Rubberised moulding for enhanced durability in workshop environment.